Like the Teenage Mutant Ninja Turtles and Transformers, The Mighty Morphin Power Rangers was a cornerstone of my childhood. Many days in my formative years were spent wearing power rangers costumes, fighting my older brother in said costume (that never went well for me once), mimicking their moves, singing the extremely catchy theme song and playing with all their merchandise that included toys and video-games. For those that didn’t grow up or care very much about the original show, the Mighty Morphin Power Rangers was a live-action super-hero children’s television series that premiered in the early 90s. It followed 6 teenage kids from a fictional Californian town called Angel Grove who were also superheroes that protected the town from monsters with their power suits, weapons, martial arts skills and their giant robots dubbed Zords. What we didn’t really know back then was that the show that was introduced to us was already a staple of Japanese TV under the name of Super Sentai. The original seasons of Mighty Morphin Power Rangers conspicuously combined original footage with stock footage from the aforementioned shows 16th season to cut corners. Despite all of that, the show proved to be a mega hit and is still running today on TV. Like all of the aforementioned shows it was only a matter of time before the popular Saban show got a 21st century face lift in similar vein to Michael Bay’s Transformers and Ninja Turtles. When I heard the news of this reboot I wasn’t exactly thrilled because of past results from my other favourite shows but when I saw the trailers of this movie and heard about the talent behind it I was a little more optimistic. 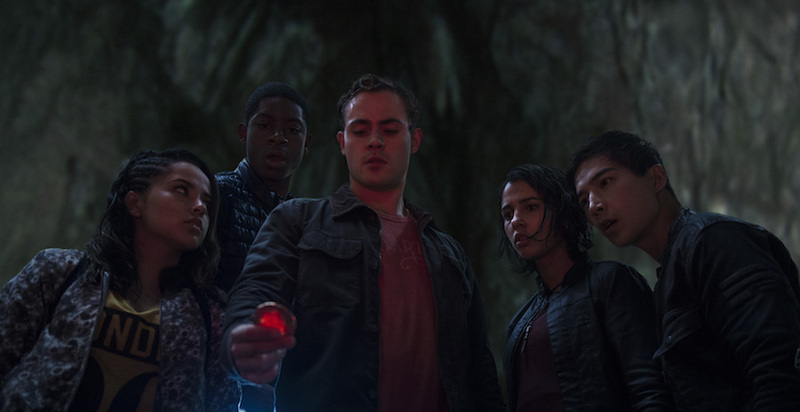 Power Rangers follows Angel Grove high students and misfits Jason (Dacre Montgomery), Kimberley (Naomi Scott), Billy (RJ Cyler), Zack (Ludi Lin) and Trini (Becky G) whose troubled lives are changed when they stumble upon mysterious coin-shaped stones, each with a different colour. After they take the coins, they are mysteriously gifted with immense strength and agility, which gets them to investigate the site they found the coins. The Rangers discover their Power Coins. They find a mysterious ship that houses a robot called Alpha 5 (Bill Hader) who introduces the teenagers to an alien named Zordon (Brian Cranston), a former Ranger whose consciousness has been transferred to its systems and entrusts them with the task of protecting the Earth’s Zeo crystal: a powerful crystal that exists beneath the surface of the planet. He also informs them that former Ranger gone rogue Rita Repulsa, an extraterrestrial sorceress is still alive and kicking and is determined to take the crystal that is hidden underneath Angel Grove and destroy the planet during the process. The Rangers must now shoulder this burden, master their powers and save the planet from destruction. Under the direction of Dean Israelite, who many will recognise from his work on the found footage science fiction thriller Project Almanac along with a cast of exciting new comers under the guidance of industry vets like Cranston (who also has a history), Elizabeth Banks and Bill Hader; Power Rangers has all the tools to save the day but we must now ask if it succeeds. The Rangers confront Goldar in their Zords. The movie made a huge gamble on focusing a majority of its screen time on developing its characters and not featuring them in their costumes in attempt to ground the movie and for the most part it’s a successful one. The rangers like their original counterparts are introduced as basic teen archetypes that were appropriate for their respective era but unlike the original series they gain a lot of depth through their own arcs and it enables the film to build a strong chemistry for the teens that is very plausible. The actors and actresses that portray the Rangers genuinely do a decent job with their roles. Dacre Montgomery and Naomi Scott play fan characters favourite Jason and Kimberly (the red and pink ranger) who in this version are now an ex jock and popular girl well and I’d really like to see more from them in the future. We also have Zack (the black ranger), played by Ludi Lin a ‘crazy’ kid who is against the establishment as he skips school a lot but shows his caring and nurturing side behind close doors. Becky G plays Trini (the yellow ranger) a loner who is mostly blank for a good chunk of the movie but slowly opens up as the movie progresses. The best performance of the lot was RJ Cyler as Billy (the blue ranger) an extremely intelligent black teen who “is on the spectrum”. He could have easily been the most annoying character but he manages to make his character’s quirks quite endearing and provides the movie with a lot of levity in a way that is not completely cheesy. 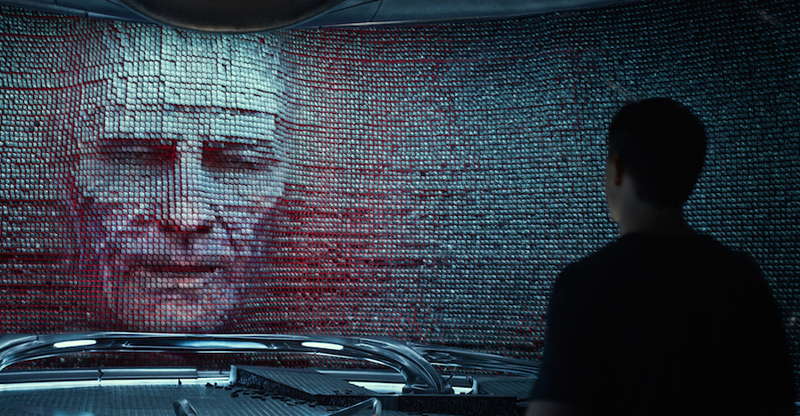 Bryan Cranston, who used to voice a lot of the monsters in the shows original run is now on the side of good as he plays the rangers mentor Zordon, the original red ranger who lost in a battle against Rita Repulsa and had his consciousness transferred to a computer grid. Compared to Banks, his role is restrained but he still does a lot of good with it. His interpretation of the character is very different from the original as he simply isn’t an all-knowing sage and father figure who seemingly has all the right answers, but a warrior who want to fight again and is very doubtful of the new Rangers capabilities, which is refreshing. We also have Bill Hader as the voice of Alpha 5, a robot assistant of Zordon, who in the original was a bumbling idiot, this time round he is actually enjoyable to watch thanks to the fact the robot is now equipped with Hader’s comedic wit and sarcasm and isn’t overtly annoying but rather funny when the film allows him to. Elizabeth Banks as Rita Repulsa. In a cold twist of irony, the final third of the movie, which has the rangers in their costumes and their megazords, was definitely the weakest part of the movie. This is strange considering the fact that the best parts of the original show in my honest opinion were the scenes where our heroes were fully suited up fighting their enemies on the ground, which allowed us to witness stunt work and fight choreography that is over the top and awesome. Unfortunately it falters this time round, as the hand-to-hand fights are ridiculously short as the enemies they fight end up being computer-generated abominations that means they really couldn’t do crazy moves. Another problem I had with this final part of the movie was the fact it didn’t mesh well with the tone the first two acts did well to set up. I’m happy for the movie to contain the original theme song (especially during the credits) but when they integrate it into the movie the way they did it instantly transported me from its new world into the cheesy 90s territory , something the movie was trying so hard to step away from only to relapse at the last possible moment to make long-time fans happy. Some of the movies effects were dreadful in the final act. The CGI didn’t look great and the action sequences look comparable to a high end PS2 era cut scene which was distracting considering the fact the movies effects before that point were good. 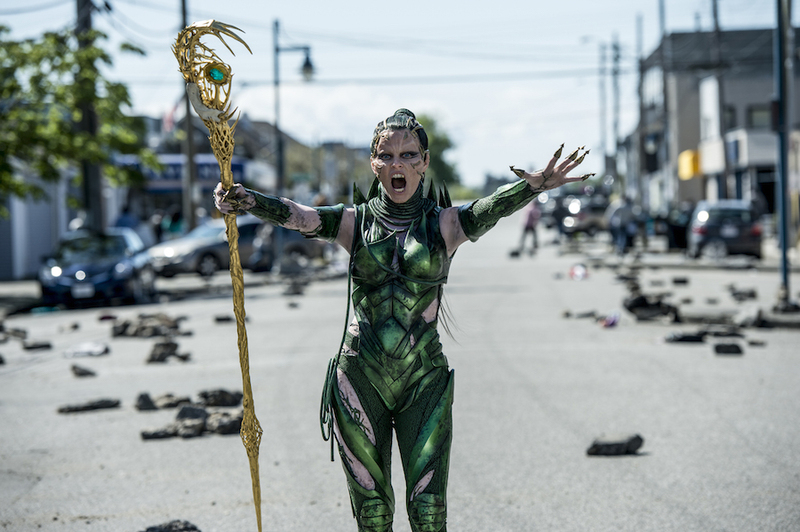 Elizabeth Banks performance as the movie’s villainess, Rita Repulsa is a physical manifestation of the film’s biggest flaw, being its inconsistent tone. In Some moments she is extremely intimidating and adds a few elements of horror in this movie that was appropriate for the movies’ grounded approach. Other times she forgets that she is supposed to provide a new interpretation of a classic character. When she hams it up she desperately tries to homage the original performance, which she doesn’t come anywhere near blunting her otherwise sharp showing which is a shame, hopefully Banks will find a good balance in its eventual sequel. I understand the importance of product placement in a movie but when it’s as subtle as King Kong on a moving train, we have a problem. The delectable Krispy Kreme doughnuts are the main sponsors of this reboot and yet they find a way to make their product and service integral to the plot (which I won’t divulge for the sake of spoilers), which is very irritating and took me out of the movie for a few moments. 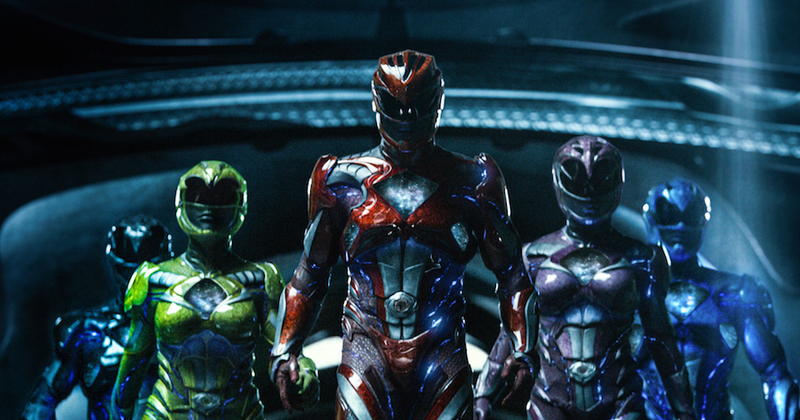 Power Rangers is reboot that gets mixed results thanks to its inability to decide whether it should take a more grounded approach or embrace its cheesy roots and run home with it. A strong showing from its young cast and its strong first half still does enough to warrant a watch.